Former NUFC flop in talks to complete shock £34m move – Report – NUFC blog – Newcastle United blog – NUFC Fixtures, News and Forum. 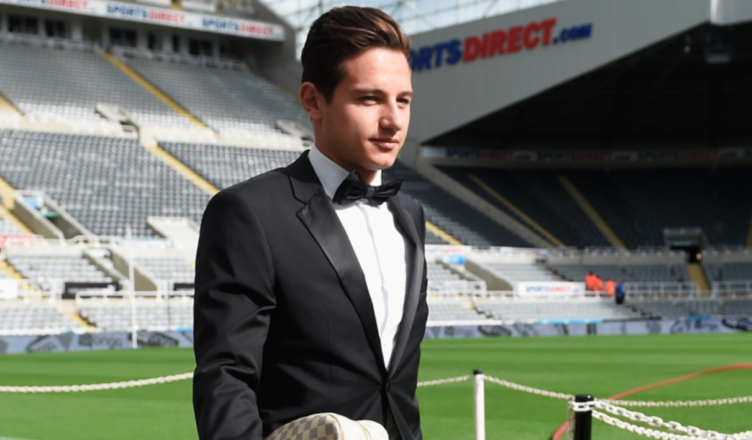 According to France Football, former Newcastle United flop Florian Thauvin is ‘very close’ to leaving Marseille and agreeing a big money move to join AC Milan this summer. The story claims Marseille are demanding a figure of around £26-£34m for the winger, with him looking set to leave after he recently declared that he was ‘fed up’ – calling his side ‘rubbish’ after a devastating 2-0 defeat at Bordeaux earlier this month. A move to AC Milan would hardly be seen as a huge step forward in his career, however. Whilst they are still a massive club hoping to get back to the top, their hopes of qualifying for the Champions League still hang in the balance, with them narrowly ahead of Roma and Atlanta in 4th and way behind the league’s top two in Juventus and Napoli. On the subject of Napoli, they too are also reported to be in talks, showing how his reputation in Europe has soared following his disastrous spell at St James’ Park. He was never given a proper run in the side (although he never really looked interested), scoring once in 16 appearances after making a £12m move from Marseille. A few years on and he’s not only scored 56 times across his last three seasons in France, he recently guided Marseille to the Europa League Final and was part of the French squad that won the World Cup last summer – showing what an eventful few years he’s had since leaving St James’ Park. So what are they actually demanding? 26 or 34? Nobody demands a minimum of. They demand a number. Maybe he wasn’t cut out to be a premiership player but he was badly handled by Pardew. I still feel that he should have been given longer to settle in a new country and a more robust league.